Great for Active Wear Too! An ingenious invention by SuspenderStore's original founder, our airport/metal detector friendly suspender attachment will let you breeze through security checkpoints without needing to remove your suspenders. 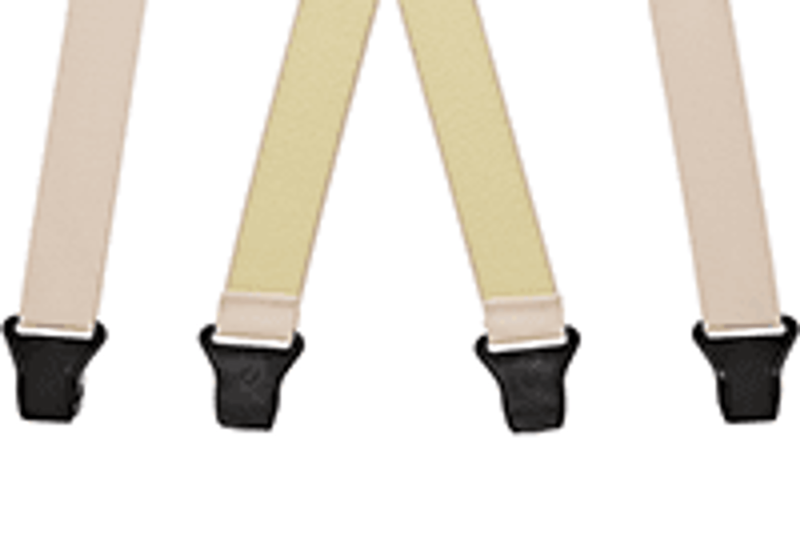 Featuring heavy duty plastic clips and plastic suspender length adjusters, these suspenders come in a variety of colors and sizes. 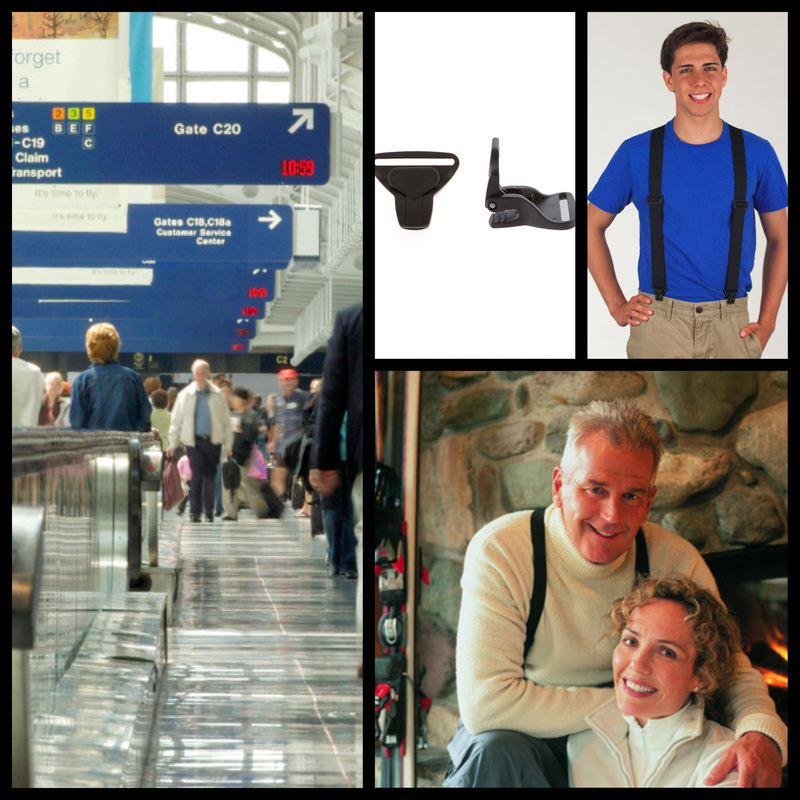 We even carry our popular undergarment suspenders with airport friendly attachments. Popular with frequent travelers and people who work in secure facilities, this suspender attachment is also a popular choice for bikers and skiers who like the fact that the clip will not tear sports pants fabrics. Elderly folks with arthritic hands also appreciate these easy to close suspender clips. As an alternative to our BuzzNot suspender line - our Perry Belt Clip suspenders are also security point friendly due to their plastic clips and adjusters. Pair these with one of our metal-free BuzzNot belts (which fasten with Velcro) for an airport friendly solution.